An example to the world! 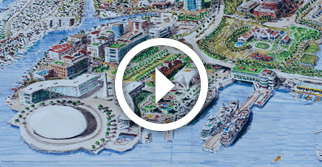 GreenTown Curaçao is an environmentally friendly initiative with a mission. 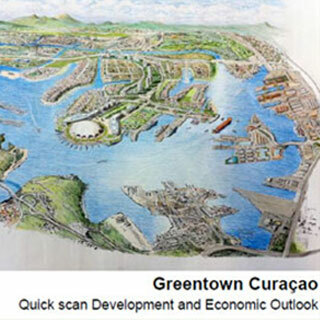 GreenTown wants to replace the heavily polluting oil refinery on Curaçao with a lively, green and vibrant city district around the harbor, generating more than 16,000 new jobs, a significant increase in government revenues and be powered solely with sustainable energy. In the future, this new city will provide tens of thousands of people with the opportunity to find clean and sustainable jobs and housing. Quick scan development and economic outlook for re-development of the area of the refinery. 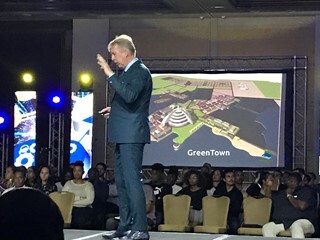 Professor Jan Rotmans, illustrating GreenTown as the new economic driver for Curaçao.